Finally, I’m going to wrap up this series of posts that I started a few months ago. Feel free to go back and read part 1, part 2, and part 3. 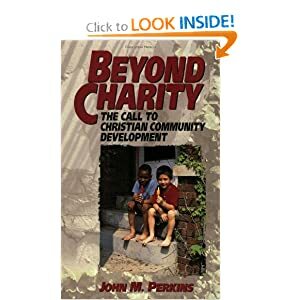 I’m just about to finish John Perkin’s book, Beyond Charity. Perkins is the founder of the Christian Community Development Association. Beyond Charity is a kind of manifesto for community development. The process of development involves relocating into an materially poor community, building long term relationships, encouraging indigenous leadership, providing access to resources, and basically reversing the destruction caused by the fall. Perkins affirms that community development is not something that is fulfilled with government programs alone or even by para-church organizations. He says that community development has to be lead by the local church. Where the church is, there is liturgy, worship. Worship is the greatest power to heal a community from the effects of sin because worship is the very process that re-aligns the human heart with the Lordship of Jesus and their familial relationship with the Creator and the creation. When we meet together in worship, we bring our hearts back under the instruction of the Word to expose our sin and to magnify the glory of the Redeemer. In worship, we get our feet back onto the Rock; all other ground is sinking sand. Poverty is created when our worldview is corrupted and we no longer reflect the amazing image of the Father. Sin causes us to fail to love our neighbor and fail to love the Lord God. The power of the resurrection of Jesus Christ defeated death and sin and now we have the freedom to become the salt and light of the world to bring restoration. In worship we have our hearts restored to the right harmony that we aught to have with the Truth. This is the greatest resource for “development” that there is. Let’s take the practical example of an unemployed, alcoholic man who has been born-again is now in the worship service. There’s not an instant overnight change that comes from looking at a painting of Jesus and hearing “Amazing Grace” like you see in movies. However, sitting in worship every week, he starts to hear about how he’s loved by the universe Creator. He learns that he’s been made into a new creation. He learns that God is a good God who can do anything but fail. Soon, he sees that his freedom to pursue drunkenness is actually a trap that deprives him of the good promises of God. Emboldened by these promises he gets the help that he needs to overcome the addiction. His new identity in Christ also emboldens him to pursue employment because he is no longer defined by his poverty or his lack of education. Instead, he’s a child of God who can trust in the Father to be Jehovah Jirah. He’s no longer defining himself by his lack of power in the cultures eyes, but by the immeasurable power of the resurrection of Jesus. At the same time, worship is changing the hearts of people in positions of power in the community. These other redeemed sinners start to affect change in the systems that contribute to his unemployment. Power shifts, resources become available, jobs start to materialize as the people of God in this man’s community draw near to the God of Justice. When the wealthy, powerful people experience the love of Jesus they begin to repent of their materialism and idolatry to capitalism, mobilizing their resources into service to the kingdom. Worship brings us near the heart of the Reconciling God. Jesus prayer that we will be unified begins to spring into life as we proclaim that he reigns. Soon the recovering alcoholic and the recovering capitalist begin to worship together and become bound together in the brotherhood of the kingdom. Singing and praying together, these men bring a kind of alleviation of poverty that goes much deeper than the band-aid solutions that only perpetuate the relationship between the materially poor and the materially wealthy. What’ s the church musician’s role in poverty alleviation? We lead people in songs of praise to the Sovereign Lord who proclaims freedom for the captive, who binds up the brokenhearted, opens the eyes of the blind. Coming together on the first day of the week to worship Jesus and to remember his death and resurrection is the means by which our hearts and minds are tuned to resonated with the anthem of the kingdom of Jesus Christ. 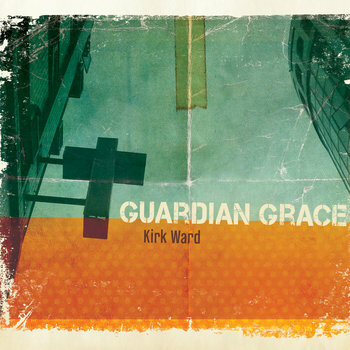 The new songs of the kingdom are more than fight-songs or cheers from the sidelines – we are in the very thick of the battle for hearts and minds to invite sinners into the banquet of grace into order to make His blessings known far as the curse is found. Sing! Sing for the Lamb who was slain sits on the throne. He is making all things new and He brings captives in His train. Sing! Why do we have a church choir? Many churches don’t bother to ask this question. It would be like asking, “Why do we have a steeple or wear ties?” Of course we have a choir, it’s what you do in church. Other churches never ask this question because they have tossed out the choir concept along with a whole host of other Christian cultural institutions in order to be relevant. As far as these folks are concerned, the choir can go the way of the pew, stained glass, and Precious Moments figurines. We were created as “good” image bearers of God. He made us to exist in harmony with the rest of creation, with each other, and with God. The fall ruined all that, and now we have a fractured and distorted view of reality. A choir’s job is to stand up and declare the Truth to broken hearts. A good choir anthem (like any good worship song) is designed to realign our perception of reality back in line with God’s word. It’s like balancing the checkbook of your heart. Hmm, that sounds like a good country song. The reason that we can perform (gasp!) choir anthems in worship is because God has used Jesus Christ to ordain the new covenant in which he has placed his Spirit in every adopted child of faith so that we can all become priests (and priestesses) in the kingdom. This means that every Christian has the role of mediating between God and the world in order to demonstrate his powerful and holy love. Hallelujah! A choir is a simple cross section of believers (sinners saved by grace) who have been given the priestly role of ministry. Check out the book of Chronicles and you’ll find descriptions of massive choirs and orchestras of Levites, the priests. The new covenant that Christ has mediated means that we are all given Levitical roles in the kingdom. Theology is a big deal. Everyone has a theology, whether they admit it or not. Jesus Christ was the incarnation of the Word. The Word made flesh. In worship, we have the job of taking words and giving them flesh. The choir takes theological concepts and sings about them. This gives the congregation a tangible experience of that word. Reading “death is ended” is pretty cool, but have you been to a funeral at New City Fellowship where a massive group of believers stands up and sings at the top of their voice “DEATH IS ENDED!”? That is a serious experience of incarnate theology. 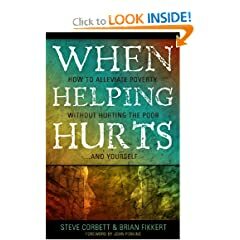 I’ve been reading a book called, When Helping Hurts: Alleviating Poverty Without Hurting the Poor. . .and Ourselves by Brian Fi kkert and John Corbett. It’s really helped me to get a handle on how my multifaceted roles as church musician, worship leader, and songwriter work toward helping the poor. Huh? What can a musician do to help the poor? Farm Aid, Bono, Woody Guthry, We Are the World? That’s not what I’m talking about. Musicians have an even more important role to play than just “awareness” or fund raising. In the church, a musician’s job is to lead worship songs. 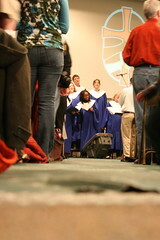 I am part of a team, which includes the pastors, that plans and executes the worship services every weekend. Our job is to bring our focus back onto the cross of Christ, the holiness of the Father, and ministry of the Spirit. Poverty is not just an effect of a lack of material resources. Poverty is symptom of the broken relationships between God, ourselves, other people, and the rest of creation. The gospel and the kingdom of God is about bringing reconciliation to all of these broken relationships. When we come together to worship, we are not just having a time of good feelings and positive mental projection. We are meeting together to recalibrate our world view to be back in line with how God intended. Material poverty is a real issue that can’t be solved with strumming a guitar; however, real poverty will never be healed by giving away more money/food/resources. The real solution to poverty has to involve people’s hearts being reconciled to God and their lives being restored to a proper relationship with God and his creation. That’s a really quick overview of some things that I’m getting from this book. The book fleshes these arguments out with examples, stats, and scripture. It’s been a great book so far.